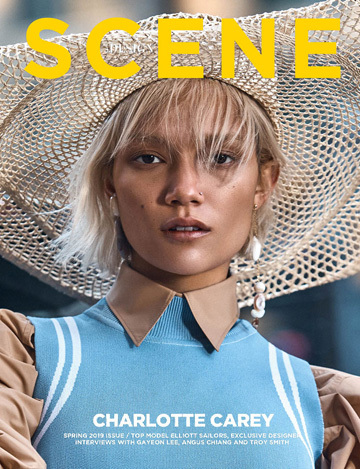 Vogue Australia features top models Fernanda Ly, Akiima, Charlee Fraser, and Andreja Pejic on the cover of their April 2018 edition captured by Patrick Demarchelier. In charge of styling was Christine Centenera, with beauty from hair stylist Jimmy Paul, and makeup artist Gucci Westman. “Vogue has documented Australia’s most successful models for almost six decades and this month’s cover is extra-special because of the extraordinary women it features together. Australian beauties, both male and female, feature heavily on the international runways, but never before have we seen so many home-grown models at the top of their game from such diverse backgrounds. It felt timely to celebrate that fact, because it truly reflects who we are. Despite being a multicultural country, we have long subscribed to a homogenous standard of beauty. Charlee Fraser, Akiima, Fernanda Ly and Andreja Pejić prove that thinking – and casting – is archaic.” – Edwina McCann, Australian Vogue’s editor-in-chief.